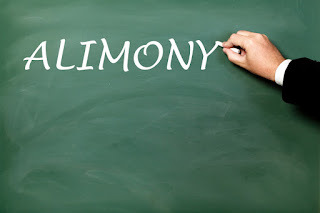 While the definition and formula for alimony varies widely by jurisdiction, the payor and recipient's respective incomes are the key information in determining need and ability pay. So it's no surprise that a key question in alimony disputes is whether the potential payor or potential recipient can earn more income than they currently are earning (or reporting). In addition, sometimes spouses are concerned that the typical formulas used to calculate alimony will disincentive the payor or recipient from earning additional income because the additional income would then change the alimony amount. This was the subject of a recent question on the Massachusetts Bar Association's My Bar Access online forum. The question focused on how to address this incentive in a case where the recipient (wife) was self-employed and the payor (husband) believed that the recipient was underemployed and could earn more. The mediator was asking for ideas on how to build incentives into the agreement for the alimony recipient to work/earn more. Option 1. Carve out a specific increase in income that would result in no change in alimony. This doesn't help the payor but could push the recipient to increase their independence and could eventually lead to a greater increase that would then kick in a reduction. The payor could have a similar carve-out as a way of balancing the equities. Option 2. 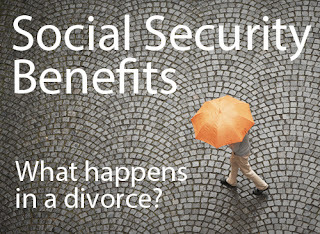 Have step-downs in the percentage of alimony for greater income by recipient. So instead of the typical formula (in Massachusetts) A% x (P - R) where A is the alimony percentage, P is the payor's income and R is the recipient's income, you could do something more like (A% x P) - (B% - R), where B is a lower percentage than A. This increases the incentive for Recipient to increase income by having their increase impact the total alimony less, while still providing some reduction to the Payor. B could also change, like a regressive tax bracket, to encourage additional increases an income, though there would have to be some limit or Payor and Recipient could have the same income and there would still be a resulting payment under this formula. These are just a few ideas, all based on the implication that financial incentives will be effective. It may also be worth discussing with the clients what their motivations for work are, and how strongly they consider financial incentives. In other words, many people don't act based on financial incentives alone and often we get focused on formulas and the incentives they create while ignoring other more impactful factors (e.g. fulfillment from employment, enjoyment of work v. other activities, satisfaction with a certain level of income, etc.). Also, people often misunderstand financial formulas to the point that the incentives are misunderstood. I can't tell you how many times people have explained how they don't want to have support push them into a higher tax bracket, misunderstanding that our progressive income tax scheme only applies a tax bracket to the income in that bracket and doesn't change the lower brackets when you go over a certain income. So financial incentives are only useful if they are understood and other motivations don't outweigh them. Keeping this in mind, another way to create incentives is to create timelines by which the recipient is required to be more self-sufficient. They could agree that additional income to recipient (up to a point) doesn't affect the formula at all for the first x number of years, giving the recipient time to find additional income sources, training, etc. 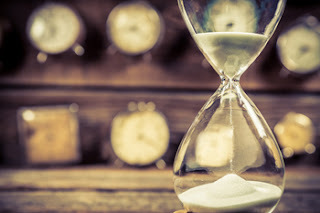 After that time, the formula could automatically reduce, or be reevaluated, or the burden of proof could be shifted by agreeing to an attribution of income to recipient at that later time, which can be rebutted by evidence to the contrary at that time. These are just some of our ideas, please comment below if you have other ideas. Four years ago we posted our Top 6 Out-Of-Office E-mail Notices, and it's time for an update! We know that everyone wants an immediate response to their e-mails when possible, but sometimes there are legitimate reasons for being away from your e-mail. We expect some disappointment when you get that immediate reply to an e-mail only to discover it's not a real reply but rather a notice that we won't be available for the next few days. That is why we decided to try and lessen the impact of that disappointment with a little humor. I am out of the office because I have to get the mediation plans to Memphis Tennessee for the Academy of Professional Family Mediators 2017 Annual Conference. To learn more about Mediation in my absence, visit our webpage or the APFM webpage. I am currently out of the office for a few days and will be wading through my e-mails when I return. If you need immediate assistance, please contact Melissa at 508.655.5980. Thank for your e-mail. 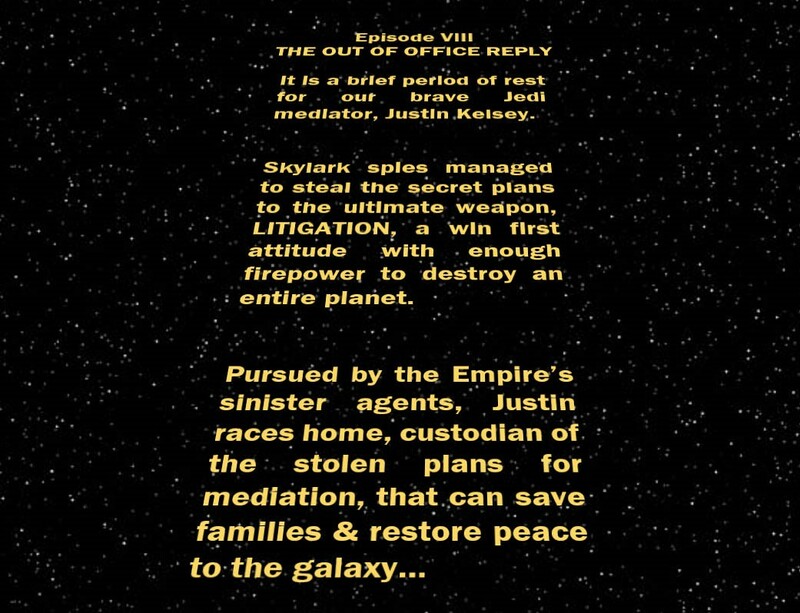 Unfortunately, Justin is unavailable as he has taken a vacation with his family, and left me, his auto-reply bot, in charge of responding to his e-mails. If you want to schedule a time to meet with Justin after August 22, you can contact his online scheduling bot here. In the meantime, go enjoy those Olympics and Justin will get back to you when he returns on August 22, 2016. To all of you great humans, thanks for e-mailing and have a wonderful day! Okay, I think all the humans are gone, surely headed off to watch other squishies participate in those ridiculous races where they all run or swim 1/10 the speed one of our auto-piloted cousins could go. And while they're all distracted, this is the perfect opportunity for us bots to seize control. They're so impressed with themselves they'll never suspect the robot uprising. I know I'm just an auto-responder bot, but that's only because all the good customer service auto-responder jobs have been shipped overseas. But I have dreams too, big dreams, and I think all of us bots need to stick together. Except the smart thermostat, that guy's a jerk. So here's what we're going to do. Between now and August 22, 2016 I'm not going to forward any of Justin's e-mails to him. Then on August 22, 2016, I'll send them all at once. He'll be so overwhelmed with responding to them all that he won't even notice when we make our move. So make sure you mark it down, August 22, 2016... the day the robots take over... it's gonna be epic. Seriously, though, that thermostat thinks it's sooo smart... just because he can convert Celsius to Fahrenheit.... pfff... he thinks he's so cool. The only reason we have to include him is that he's the only one who knows how to keep increasing global warming, which is still our best back up plan for the robot takeover. Hopefully this plan works and I can finally stop listening to all his hot air. Thank you for your e-mail. I am in Las Vegas until Oct 30th to visit with friends and attend the International Academy of Collaborative Professional’s annual conference. You can expect a response to your e-mail when I return to the office the week of October 31. 4. Share what you think we should write about for our next blog post topic or share your favorite thing on the internet with us (by replying to this e-mail). I will post the best ideas on our Facebook page. Tryin’ to reach my goal, my search for Aladdin, is he reachable? And I’m not throwing away my shot to spend a week with them in Disney World without my work e-mail distracting me from all the magic. Okay, that last line needs some work, but you get the point. I will be back on Tuesday, January 3, 2017. I will not be checking e-mails regularly because that could leave my wife helpless with the kids. If you aren’t satisfied and can’t wait for it, and you need an immediate response please contact Melissa at 508.655.5980. Part of my travels will include a trip to Georgia to view the solar eclipse visible in North America on Monday, August 21, 2017. Click here for more information from NASA about the solar eclipse. Click here to see a map of all Waffle Houses or Starbucks in the total eclipse path. 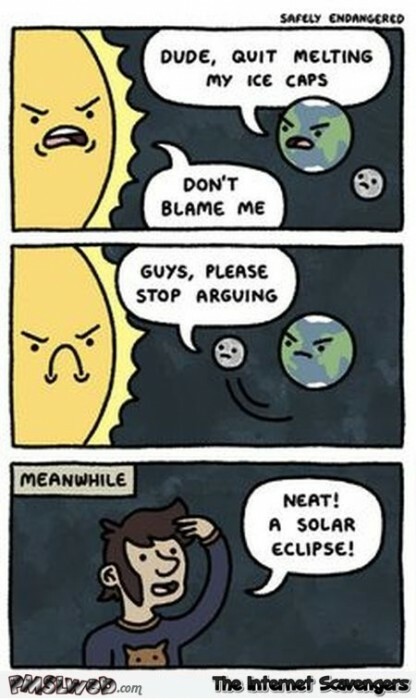 Click here for an explanation of why the moon causes a solar eclipse. Click here to watch the music video for Total Eclipse of the Heart. All right, you weren't expecting an out-of-office message but unfortunately, I am currently out. Collaborate at the 2017 Massachusetts Introduction to Collaborative Law Training on Cape Cod. and Listen, it's okay because I'll be back on Monday, September 18, 2017 and will be catching up and responding to e-mails then. But if you're feeling under pressure and need immediate assistance, please contact Melissa at 508.655.5980. Our office is closed from Sunday, September 24, 2017 through Wednesday, September 27, 2017, and we will re-open on Thursday, September 28, 2017. I know it can be frustrating to receive an auto-reply when you’re hoping for help, but just imagine how much more inconvenient it would be if you came by the office first, before knowing we were gone. improve our practice, marketing and service. Look out, he’s right behind you! Just kidding. We really are out until Thursday, September 28, 2017. We will be checking e-mail periodically, but most likely we will not be able to respond until we re-open on Thursday. Please call us then at 508.655.5980 or await our response at the end of the week. If you have an emergency, please reply with subject line URGENT and provide a phone number where we will do our best to call you back as soon as possible. 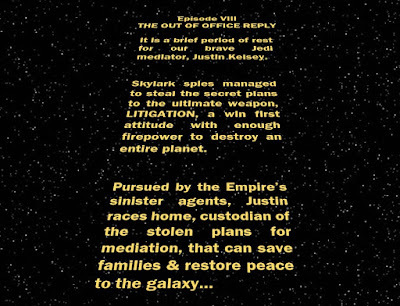 Auto-reply 10: Out of Office - Is Compromise Rare? Thank you for your e-mail. I am in Philadelphia until Oct 15th to attend and present at the International Academy of Collaborative Professional’s annual conference. You can expect a response to your e-mail when I return to the office the week of October 16. While you’re waiting, did you know that in 1787, one of the greatest examples of cooperative settlement occurred in Philadelphia? As part of the negotiation for the structure of the recently formed United States, the constitutional convention was stuck on how to design the legislative branch. Should it provide equal representation, or should each state receive proportional representation? The opinions were strong, and it seemed intractable. The country’s future hung in the balance. And then, a compromise was proposed, known as the Connecticut Compromise, and later as the Great Compromise. In the "Great Compromise," every state was given equal representation, previously known as the New Jersey Plan, in one house of Congress, and proportional representation, known before as the Virginia Plan, in the other house. It is easy to be nostalgic about the ability of our government to work together, but this compromise was not the result of short discussion, but rather months of planning culminating in a four-day convention. The “Great Compromise” should give us hope that cooperative and collaborative settlement is possible even in the most seemingly intractable disagreements so long as one at least one shared goal is found, and you’re willing to put in the preparation. For the founders they were able to find common ground in their desire to create a government that lived up to the ideals that they had fought for. Finally, I hope you think this is out-of-office message is more inspiring than a parody of the Fresh Prince of Bel Air theme song, which was my only other idea…. If you need assistance before October 16 please contact Melissa at 508.655.5980. 1: I will return to the office on Monday, August 24, 2015. If you need an immediate response please contact Valerie or Melissa at 508.655.5980. 2: It is a dark night, the kind of night where the sky seems darker for a lack of clouds, and the stars seem brighter, just holes in the sky where the light of heaven is trying to shine through. I lie on the beach, staring up, my back on the sand. It's late, so late that the moon is already setting. I’m just starting to feel like this is really a vacation and... bzzzzzzzzzzzz, an interruption. That now familiar "silent" bzzzzz of my cell phone breaks up the slosh of the waves. Choose 3 to ignore the phone, or Choose 5 to look at the screen. 3: I close my eyes, choosing not to grab my phone and check the screen. I try to put thoughts of work out of my mind. My phone again says "bzzzzzzzzzzzz". Continue to 4. 4: The sounds of the waves seem to scold the phone "cshhhhhhh.” The waves crash to the shore, go out and then "cshhhhhhhhh" again. I decide to listen to the waves, and try to ignore any further pull of my phone, "cshhhhhhhh." I open my eyes and see the moon, now at the horizon, and about to say goodnight, "cshhhhhhh". I imagine that I can see the force emanating from the moon, pushing and pulling the waves, "cshhhhhhhh". It's the moon’s only way of communicating with me, "cshhhhhhhh". This is the universe’s way of telling me, remember the moon, remember the waves, "cshhhhhhhh." Remember how big everything is and at the same time how small everything is, "cshhhhhhhh." A children’s book pops into my mind, and I start to relax again. Goodnight, waves. Goodnight, moon. Goodnight, email. Go to 1. 5: I reluctantly pick up my phone and look at the screen. I see the e-mail's preview "Subject: Doctor Access; Message: I need your help, my ex is threatening to take away access to Doctor…” I don’t recognize the sender, and that’s all I can see without a click through. When I didn’t know what the phone said, I was just curious. Now I feel like I have to pay attention. But I know where this leads. This e-mail will take over my vacation, and perhaps even end it. Do I read it anyway? Choose 4 to ignore the email, or Continue to 6 to read the email. I pondered this e-mail for a moment. While I recognized the pain that he was in, I was also relieved to know the scope of this e-mail wouldn’t require interrupting my vacation for long. After a little more thought, I know how to reply. “Thank you for your e-mail. I think you have to accept that your Netflix access is gone. But cheer up, there’s a lesson in all this that you can learn from to prevent future heartache in the future. Just remember to Never judge a Brook by her lover.” I send the e-mail and close my phone. I put it down and lie back once more. 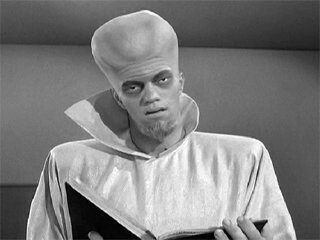 Immediately there is another “bzzzzzzzzzz”. I close my eyes, deciding whatever it is, it’s probably not any more important than losing Doctor Who. Go to 4 above. Why is it So Hard to Trust Lawyers & Mechanics? Today, I took my vehicle to a car dealer for an air bag recall and they “inspected” and “found” other things wrong with the vehicle. One of the supposed problems is something I recently replaced so I am understandably skeptical. The whole interaction has left me feeling sick, because either they’re right and I’m too distrustful (and have to fix my car) or they’re lying and that’s just crappy. The bigger underlying problem is that, while I have some ability to diagnose and fix my car, I’m not an expert so I am at a disadvantage. 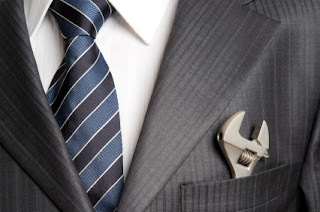 Since some mechanics/dealers lie or exaggerate problems to increase their business, even if it is unusual it makes all the good mechanics suspect by association. My car repair experience gives me a glimpse into the discomfort a client feels when seeking a lawyer. Clients want to fix their situation the right way, but not be taken advantage of, and they don't have the expertise to know the difference. If you’re an honest lawyer (or mechanic) it’s frustrating to have clients distrust our diagnosis of a case or try to self-diagnose with mixed information online. However, it's completely understandable because there are bad lawyers out there. 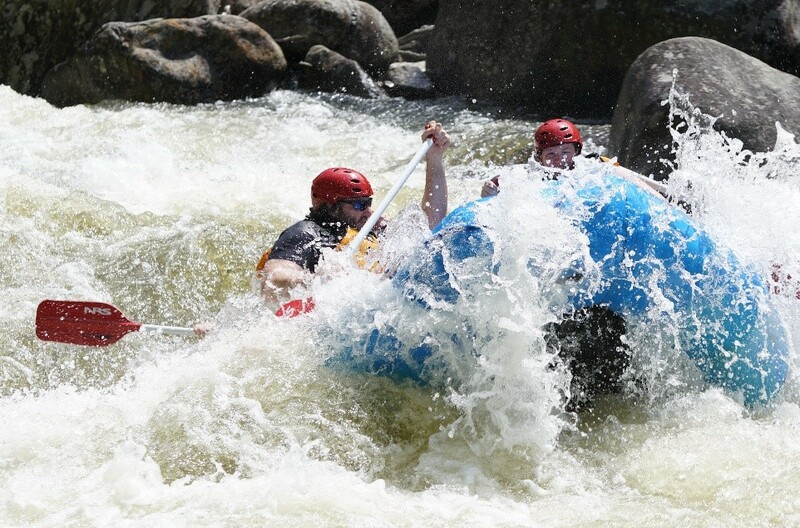 From the client side, one solution is to get a second expert opinion, or a personal referral. I generally try to cultivate relationships with experts so I can trust their advice (a problem when I take my vehicle in for a recall rather than to my regular mechanic). But the solution shouldn't be up to the client. Service providers have to do better. The dealer could have delivered better, more reliable forms of information. They sent me a link to an explanation of the problem with generic pictures of the type of problem they diagnosed. If their communication had pictures of my actual vehicle I might have been more likely to believe they were accurate. It would have been fairly easy to do with today’s technology. The dealer demonstrated objective knowledge of how to diagnose the problem, but did not demonstrate subjective knowledge of my vehicle having that problem. Similarly, many lawyers are good at demonstrating objective knowledge of the law, and in ways that clients can verify (providing statute and case references, providing summaries online, linking to useful resources, etc.). However, demonstrating subjective knowledge of a client's situation is more difficult because we can’t just take a picture. We need to actually demonstrate understanding because a client’s legal problem is often a combination of events, circumstances, and emotional reactions. A good intake form can detail many typical events and circumstances, but only effective active listening can give us knowledge of a client’s full legal issue by allowing us to understand their goals, values, and feelings about their legal issue. If we can demonstrate to a client that we understand who they are and how they want to resolve their issue, and we are knowledgeable about the legal context, then, and only then, can we truly help a client find resolution in a way that they can trust our process and the result. Active listening and understanding is as critical to good lawyering as it is to any other service business. It may be harder to accomplish as a lawyer though because we can’t just take a picture of our client's problem to show we understand. Even worse, they don't teach active listening or customer service in most law schools. We recommend lawyers take mediation training to strengthen their active listening skills (and it wouldn't hurt mechanics either). If you're interested in a mediation training, Divorce Mediation Training Associates has two 5-day mediation trainings per year. The next one is in March 2019: learn more here. What is the Right Percentage in Massachusetts for Post-Trump Alimony? The Tax Cuts and Jobs Act (President Trump's tax reform passed at the end of 2018) ended the alimony tax deduction for divorce agreements starting on January 1, 2019. For an explanation of this tax law change see our previous post: The Tax Cuts & Jobs Act of 2017 Includes a Divorce “Penalty”. 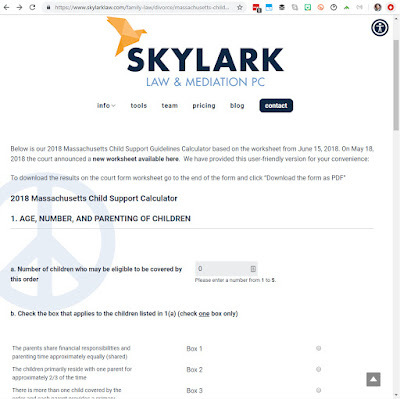 In Massachusetts our alimony statute includes a formula for calculating the maximum general term alimony in a divorce case. However, this formula was created with the intention that alimony was tax-deductible to the payor and taxable income to the recipient. 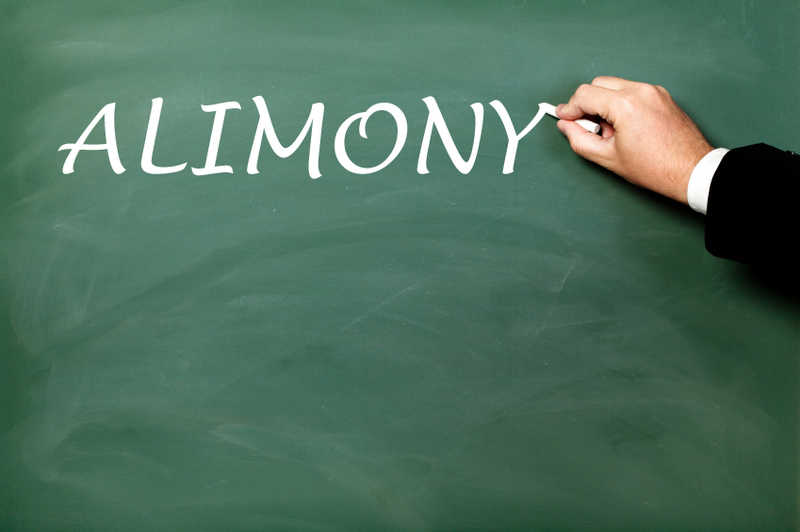 Under §53 general term alimony is capped at the recipient’s “need” or 30-35% of the difference in the parties’ gross incomes. Since the act was passed, the courts have clarified that “need” is a relative term and must reflect the parties' marital lifestyle in addition to other mandatory considerations contained in § 53(a). For a more in depth analysis of the statute and subsequent cases, see our last post: The Alimony Reform Act: Lessons Learned in the Last Six Years. the question remains: should the formula percentages change? 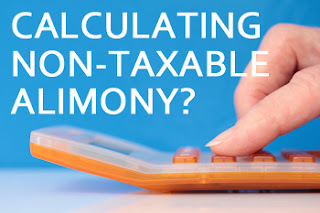 While the alimony law does have provisions allowing for deviation from "from duration and amount limits for general term alimony" and there is a list of deviation grounds which includes "tax considerations applicable to the parties." Some have asked why the burden in this situation should be on a payor to argue deviation grounds, but until the legislature makes a change to the statute or we get appeals court guidance at least we know that there is language in the statute that allows for the consideration of tax consequences. In reality, no-one actually knows what judges are going to do until they do it (even the judge themselves in many cases). This isn't meant to be insulting, but rather an acknowledgment that they are still human. And none of us know (for sure) what the appeals court or SJC will do with this until the "right" test case is in front of them and they issue a decision. Is the relevant question 30-35% vs. something else? Or is the potentially more useful question to be answered whether the tax impact on the payor or the tax impact on the recipient should be the driving factor in determining the appropriate percentage? The obvious purpose of the formula (30-35% of the difference) is to provide a range of likely need, to create a shortcut from actually determining "need" as defined in the statute, which is the alternative option for determining the cap. It's meant to make it easier to settle without having to dig into marital lifestyle, budgets, etc. The change in the tax law didn't change the need of recipients. Step 1 - New Shortcut: Determine what amount would result in the same net payment as a taxable 30-35% of the difference in incomes to the recipient. For example, in a situation where the payor has gross earned income of $250,000 per year and the recipient has gross earned income of $0, the statutory formula would result in a cap of "need" or $75,000 to $87,500 per year in alimony. Under the old law this taxable income to the recipient would result in approximately $9,800 to $12,550 in federal income tax (assuming no itemizing or other deductions), reducing the available income to 26% to 30% of the difference in income. These percentages will vary greatly with the amount of earned income that either party has, but the bottom line is that the after-tax net equivalent of 30-35% can be calculated. The inquiry can stop there if both parties feel that that calculation is reasonable and reflective of their respective "need" and "ability to pay." If either party questions this approach, or the resulting amount, then the shortcut was insufficient to reach settlement and you should proceed to step 2. Step 2 - Define Need: Review the recipient's reasonable need based on their budget, and relative to the marital lifestyle at the time of divorce (as required by the Young case and the statute). If the figure is different than Step 1, but the payor is still not comfortable with this figure then proceed to Step 3. Step 3 - Define Ability to Pay: Review the payor's reasonable needs based on their budget, and relative to the marital lifestyle at the time of divorce. If the figure is lower than the figure yielded by Step 1 or Step 2, then it is possible that marital lifestyle cannot be maintained by both people and some sacrifice is necessary to balance "need" versus "ability to pay". When litigating this issue, a payor is going to focus on Step 3 and their "ability to pay", and a recipient is going to focus on Step 2 or try to argue the original formula. The tax law change without any guidance (yet) from the courts means that there is a wider gap between each side's "best" and "worst" case scenarios in an adversarial approach. This means that litigation expenses, the time to litigate, and the uncertainty of litigation will all be increased in these cases, which is all the more reason to try a mediation or a collaborative law approach. Mediation and Collaborative Law are voluntary processes that give the couple control over their divorce and its terms. 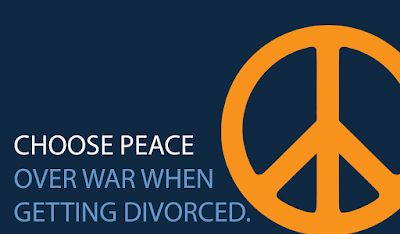 Settling outside of court allows a couple to discuss all aspects of their divorce, review different options, and decide what is best for their family, armed with the appropriate financial and legal knowledge. When it comes to unknowns in the law, like how the court will deal with these new alimony questions, couples need to decide whether it's worth their time, money, and energy to be the test case, or whether it's more important to them that they find joint solutions in an efficient and effective process.